A few weeks ago I was in Portugal and saw many storks. The sky was clear blue, I took this picture in the Algarve. The storks are safe, high by the cross! Miło patrzeć na piękne bociany. Do nas też już przyleciały i zastały biało, bo jest śnieg. Pozdrawiam. 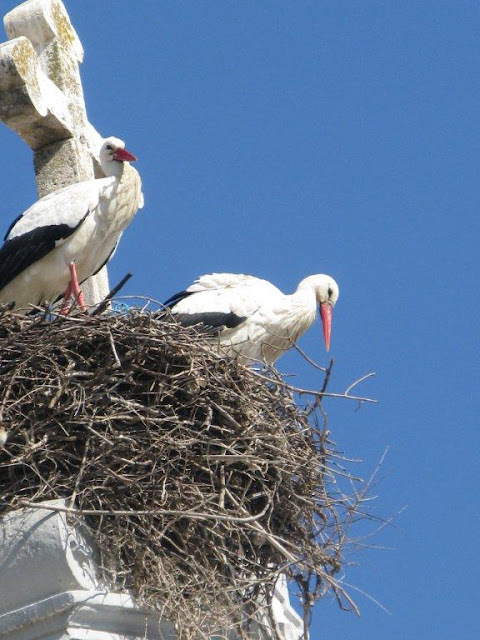 It's nice to look at beautiful storks. For us it has already arrived and they found the white, because it's snowing. Yours.